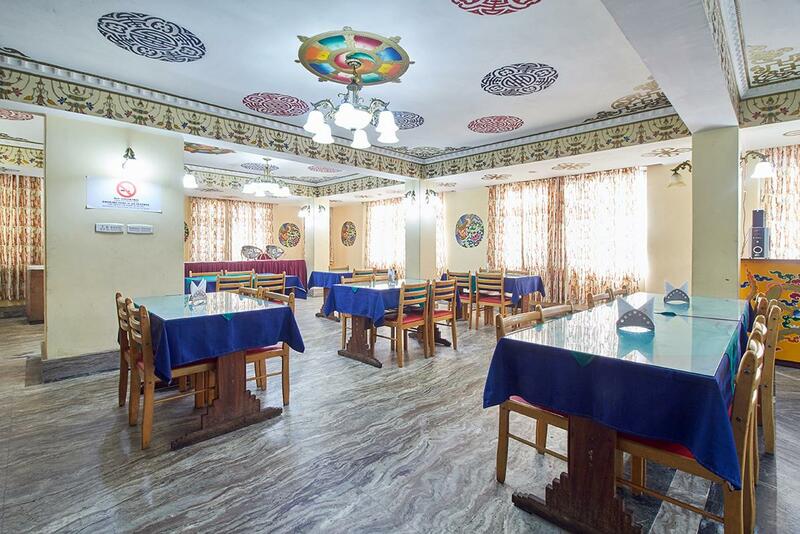 2.5 km from Sikkim Railway Station, 4 km from Enchey Monastery, 7.7 km from Banjhakri Fall, Banquet hall, Rooftop terrace, Multi-cuisine restaurant, Travel desk, Wireless internet (surcharge).Hotel Tibet Gallery is a 3 star property located within walking distance from the famous M G Marg. Popular a ttractions such as Royal Palace, Enchey Monastery and Banjhakri Fall are just a few minutes drive away. The hotel has different types of rooms- Executive Room, Super Deluxe Room and Deluxe Room. Restaurant, Laundry Facilities, Breakfast Services, Airport Transportation, Backup Generator, Parking, Currency Exchange, Catering, Travel Counter, Baggage Storage on Request. Bottled Water in Room, Iron/Ironing Board, Cable/Satellite TV, DVD Player, Television Room, Wakeup Calls, Moisturiser, Attached Bathroom, Internet Access, Air Conditioning Room. User reviews for "Tibet Gallery Hotel Gangtok"